This year I want to cook more, and eat out less, I also want to make this process as easy as possible! Living alone and being a rather social butterfly, cooking was low on my list. I cook because I have to, not because I want to and after a long day at the office, coming home and walking the dog, well time is limited. I also want something with variety. I dip my toes into recipes but always end up cooking the same thing over and over again and well that isn't fun. I went through a stage of heat and eat meals but to really live my best and healthiest life I knew I needed to start cooking. 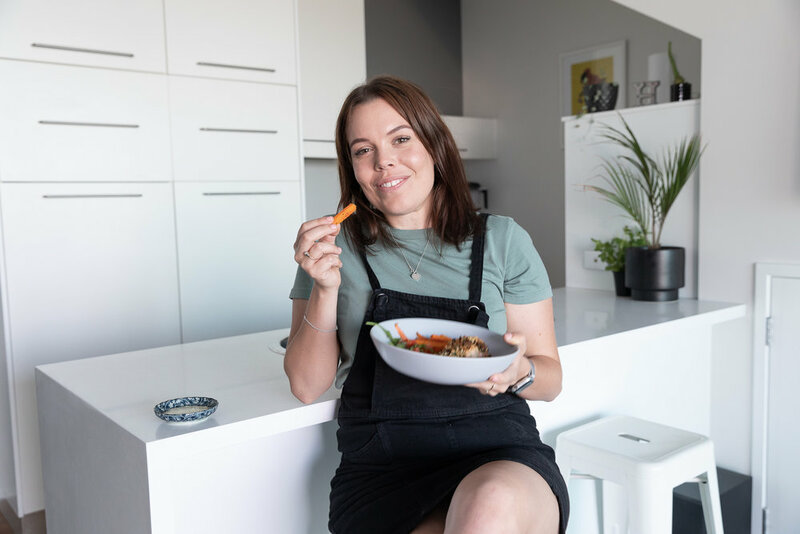 Nowadays there's so many kinds of food delivery services like these and since I've had the opportunity to try HelloFresh the other week and LOVED it, I wanted to share the meals I made with you, as well as highlight the reasons why HelloFresh works for me. Especially on the convenience and variety front! fresh ingredients delivered every week to your front door, or office which is what I did. I choose the classic plan for two - with four meals included. I felt like this would be the most flexible for me allowing my boyfriend to join me some nights, left overs for lunch, or if I’m game I could invite a guest over. I always have my parents over for dinners early in the week, and have a few social events so four nights seems a good number for me personally. It needs to work for me. For me, the website was super simple to use and the sign-up process was a breeze. The items arrived in brown paper bags with colour coded stickers to recipe cards and I loved that I could work with the schedule. Some services arrive on Sundays….and well that doesn’t work for me so I can choose that day that does work - like Monday. I'm going out of town in a few weeks, and it was extremely simple for me to pause, change and swap my delivery day, not to mention you can also swap meals around to ensure you are getting something you want! It just makes everything so easy and convenient. I also loved that it pushed me out of my comfort zone and had me try new, seasonal foods. Overall: I like HelloFresh. It works with my lifestyle, I can mix and match and it isn’t all meat and veggies! Im hanging out for the nachos and can’t wait to see what is in store next! Do you like to cook? And have you tried this kind of delivery service before? If you haven’t, I’m treating you to a $35 off your first HelloFresh box! Use my code MODERNGIRL or click here.